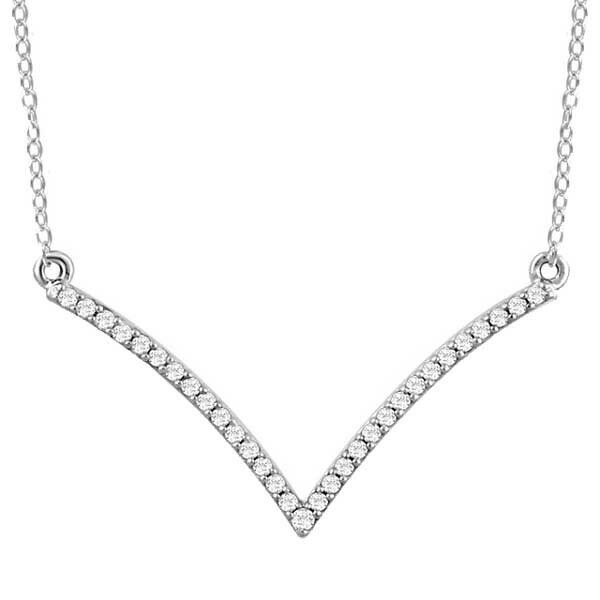 This v-shaped necklace is a vibrant piece of jewelry that would be a most welcome addition to just about any wardrobe! Crafted in 14kt white gold with diamonds, it has gracefully curved sides and measures 18" in length. It's an elegant and elongating necklace.